Wole Soyinka was born in Abeokuta, Nigeria and received his doctorate from the University of Leeds. He was a dramaturgist at the Royal Court Theatre in London 1958-1959 and in 1960 was awarded a Rockefeller bursary and returned to Nigeria to study African drama. At the same time, he taught drama and literature at various universities in Ibadan, Lagos, and Ife, where, since 1975, he has been professor of Comparative Literature. He was awarded the Nobel Prize for Literature in 1986. Poet and novelist Ben Okri OBE read Comparative Literature at Essex University. In 1991 Okri was awarded the Booker Prize for The Famished Road. Ben Okri is Vice-President of the English Centre of International PEN, a member of the board of the Royal National Theatre, and was awarded an OBE in 2001. He served as the first chair of the judges in 2000 and was appointed Vice President in 2012. Dele Meiji Fatunla is a writer and communications consultant, and the administrator for the Caine Prize. He has previously worked with Pearson PLC, Waterstone’s, Penguin Books, The Economist Group, The Royal African Society and The Initiative for Equal Rights. He has a BA in African Studies and Politics from SOAS and an MA in Sociology from City University, London. He tweets @delemeiji. John Coetzee, born in South Africa, now an Australian resident, is a writer and academic. Coetzee won the Booker Prize in 1983 with Life & Times of Michael K and again in 1999 for Disgrace. He was awarded the Nobel Prize for Literature in 2003. He served as a judge in 2001. Baroness Nicholson of Winterbourne was ennobled and took her seat as a member of the House of Lords in the United Kingdom Parliament in 1997, having also served as a Member of the House of Commons and, subsequently, in the European Parliament. Baronness Nicholson was married to Sir Michael Caine and established the Caine Prize in his memory in 1999. Alicia B. Adams is Vice President of International Programming and Dance at the John F. Kennedy Center for the Performing Arts. She has curated and produced the Center’s festivals celebrating the arts and culture of India, the Arab world, Japan, and China, and also curates the Contemporary Dance and Etcetera series. Previously, she has worked for institutions including Alvin Ailey American Dance Theater; Belafonte Enterprises, Inc.; City Center Theater; Harlem School of the Arts; and International Production Associates. Ike Anya is a Nigerian writer & public health doctor. He has worked as a consultant in public health medicine in London since 2008. Co-founder of the Abuja Literary Society & contributing editor to Farafina magazine, he co-edited theWeaverbird Collection of Nigerian Fiction (Farafina, 2008). People Don’t Get Depressed in Nigeria, an extract from a memoir in progress, was published in Granta in 2012. Co-editor of Nigeria Health Watch (nigeriahealthwatch.com) & co-founder of the TEDxEuston event (tedxeuston.com), he is a TEDGlobal Africa Fellow (2007). William Boyd is the author of eleven novels, including A Good Man in Africa, winner of the Whitbread Literary Award (now known as the Costa Book Awards) and the Somerset Maugham Award; An Ice Cream War, winner of the John Llewellyn Rhys Prize and shortlisted for the Booker prize; Any Human Heart, winner of the Prix Jean Monnet; and Restless, winner of the Costa Novel of the Year, the Yorkshire Post Novel of the Year and a Richard & Judy selection. He served as a judge in 2000. Margaret Busby, OBE, was born in Ghana and educated in Britain. She was co-founder and editorial director for 20 years of the publishing company Allison & Busby, and later editorial director of Earthscan. She has since worked independently as a writer, editor, consultant and broadcaster. She has judged literary awards including Africa39, the Commonwealth Book Prize, Independent Foreign Fiction Prize, as well as being a patron of the Etisalat Prize for Literature, director of Wasafiri magazine and of the Organization of Women Writers of Africa. She served as a Caine Prize judge in 2002. Emeka Anyaoku CFR, GCVO, TC was Commonwealth Secretary-General from 1990 to 2000 having twice been elected to the post by Commonwealth Heads of Government. In 1983 he served as Nigeria's Foreign Minister. He was a Distinguished Visiting Fellow at the LSE (2001-2002) and the International President of the Worldwide Fund for Nature (WWF) (2001 to 2009). He is currently a Trustee of the British Museum (UK), and Chairman of the Presidential Advisory Council on Foreign Affairs (Nigeria). He received the Freedom of the City of London in 1998 and holds 30 honorary doctorate degrees from Universities in eight different countries. A development economist by profession Laurence Cockcroft has worked for the governments of Tanzania and Zambia, and international organisations including the UN, FAO, World Bank, Booker McConnell and the Gatsby Charitable Foundation. He was a founder member of the international Board of Transparency International and has served on the Board of TI (UK) since 1994. He was Chairman from 2002-8. Jon Cook is Chair of Arts Council England East. He is a Professor of Literature and Director of the Centre of Creative and Performing Arts at the University of East Anglia. The focus of his teaching and research is in romantic and modern literature. His publications include Poetry in Theory (2004) and a biography, Hazlitt in Love (2007) and he has written a number of essays on language and creativity. He has recently been a judge for the Independent Foreign Fiction Prize and is a member of the international academy for the Folio Prize. He is a course director on the UEA/Guardian Masterclasses project. He served as a judge for the Caine Prize in 2009 and 2010. Jason Cowley is a journalist, magazine editor and writer. He became editor of the New Statesman in October 2008. Before that, he was editor of Granta magazine and of the award-winning Observer Sport Monthly, and a staff writer on the Times. He is the author of a novel, Unknown Pleasures (Faber & Faber, 2000), and his second book, a memoir called The Last Game: Love, Death and Football, was published by Simon & Schuster in 2009. In 2009 and 2011 he was voted editor of the year, current affairs and newspaper magazines, in the British Society of Magazine Editors’ awards. He served as a judge in 2001 and 2002. James Currey started his career working for the Oxford University Press. Later he worked for Heinemann where he established their academic list on Africa and added 250 titles to the African Writers Series. Africa Writes Back (2008) is his account of the importance of the Series in the establishment of African literature. In 1984 he and his wife Clare established James Currey Publishers which took a leading position in publishing African studies, and still does as an imprint of Boydell and Brewer. Deputy Leader of the Liberal Democrats in the House of Lords, Lord Dholakia was formerly President of the party. Prior to his career in government, he worked for the Commission for Racial Equality and the Police Complaints Authority. C.J. (“Jonty”) Driver is a poet, novelist and essayist. He is a full-time writer, travelling regularly to his country of birth and upbringing, South Africa. He was held in solitary confinement by the South African Police in 1964 and his first two novels were banned in South Africa. He is an honorary senior lecturer in the School of Literature and Creative Writing at UEA. He served as a judge in 2007 and 2008. Nick Elam served in HM Diplomatic Service from 1962 until 1999. In 1964 he was posted to South Africa for four years. He also served in Zimbabwe from 1979 until 1983 and was later Head of Cultural Relations in the Foreign Office (1987-1994). Nick was Administrator of the Caine Prize from its inception in 1999 through to 2011. Aminatta Forna's most recent novel The Hired Man (2013) was picked as one of the Best Books of 2013 by NPR, The Boston Globe, The San Francisco Chronicle, The Independent, The Evening Standard, The Australian and NZ Listener. Her previous novel The Memory of Love (2010) won the Commonwealth Writers' Prize Best Book Award 2011, was a finalist for the Orange Prize for Fiction 2011, the IMPAC Award 2012, the Warwick Prize 2011 and nominated for the European Prize for Fiction 2013. In 2014 she won a Windham Campbell Prize. She is currently Lannan Visiting Chair of Poetics at Georgetown University and Professor of Creative Writing at Bath Spa University. She served as a judge in 2006 and 2011. Adam Freudenheim was born and raised in the United States and has worked in publishing since 1998, including at Granta Books, at Yale University Press (London) and at Penguin Books where he was Publishing Director of Penguin Classics and Reference from 2004-2012. Adam is currently Publisher and Managing Director of Pushkin Press which focuses on bringing the best stories from around the world to British and American readers. Adam is currently also a trustee of the Poetry Archive and a Member of the Man Booker Prize Advisory Council. He is a former trustee of The London Library and the Leo Baeck Institute. Tom Gaffney is Chief Executive of Imara Holdings Limited, a sub-Saharan Africa focused investment banking and asset management firm present in Botswana, Malawi, Mauritius, South Africa, Zambia and Zimbabwe. He is also a Managing Partner of Fleming Wulfsohn Africa and founded Ambrian, a specialist natural resources focused investment bank that had a particular focus on financing projects throughout Africa. Prior to founding Ambrian, Tom was a Director of Robert Fleming & Co Ltd/JP Morgan Chase. Born in Lomé, Togo, Claude Grunitzky is the founder of TRUE Africa, a media platform devoted to discovering and championing young African voices through new technologies. He is also the founder of TRACE, a global media company, and TRUE, a content marketing agency. The TRACE brand is now being leveraged globally across various television, event and interactive platforms, and currently reaches an audience of more than 90 million people across 150 countries. An MIT Sloan Fellow, Grunitzky sits on the board of Humanity in Action. Abdulrazak Gurnah was born in Zanzibar, lectures at the University of Kent and is best-known as a novelist. His fourth novel Paradise was short-listed for the Booker Prize in 1994. His main academic interest is in postcolonial writing and in discourses associated with colonialism, especially as they relate to Africa, the Caribbean and India. He has edited two volumes of Essays on African Writing, has published articles on a number of contemporary postcolonial writers, including Soyinka, Naipaul and Rushdie. He served as a judge in 2002 and was the chair of judges in 2003. Dotti Irving set up Colman Getty in 1987, after a decade at Penguin Books. She has been instrumental in profile development of clients including Harry Potter author JK Rowling, domestic goddess Nigella Lawson, and Carl Gilleard, Chief Executive of the AGR. With an extensive contacts base that spans arts, culture, business and the media, she also handles high-level sponsorship and partnership deals on behalf of Colman Getty's clients. Mary Jay has been CEO of African Books Collective since 1996, and has been with the organisation since it was founded in 1989. She is a Trustee of the International African Institute and was previously deputy to the publisher at Hans Zell Publishers, and Deputy Editor of The African Book Publishing Record. Joel Kibazo is a public affairs and communications consultant who has worked as a journalist for the Financial Times, reporting on Africa's business and financial sector and presented programmes for the BBC and other international broadcasters. He was formerly Director of Communications and Public Affairs, and Spokesman, at the Commonwealth Secretariat. He is the founder and CEO of JK Associates, a public affairs and communications consultancy offering specialized services in Africa. He is currently Communications Director at the African Development Bank. Jamal Mahjoub was shortlisted for the Caine Prize in 2005. His novels have been widely translated. Travelling with Djinns was awarded the Prix de l'Astrolabe at the St Malo festival in France; Carrer Princesa gained the NH Mario Vargas Llosa prize in Spain. He also won the Guardian/Heinemann African short story award for The Cartographer's Angel. He has recently started a new life in Crime under the pseudonym Parker Bilal. He served as chair of the judges in 2007. Robin Malan has spent all of his working life in education and in theatre. He was the artistic director of two theatre-in-education companies in the 1970s. He taught in Swaziland for 15 years, and also ran a specialist bookshop in Mbabane. His novels include Rebel Angel, The Story of Lucky Simelane, The Sound of New Wings and My 'Funny' Brother. He was series editor of the Siyagruva Series of teen novels; and is the editor of English Alive, the annual anthology of high school writing. His independent Junkets Publisher won the 2009 Arts & Culture Excellence Award for Literature. Nana Yaa Mensah is chief sub-editor of the New Statesman, the leading left-wing magazine and previously worked as senior sub-editor of The Voice. She was chair of the Caine Prize judges in the tenth anniversary year of the award, 2009. 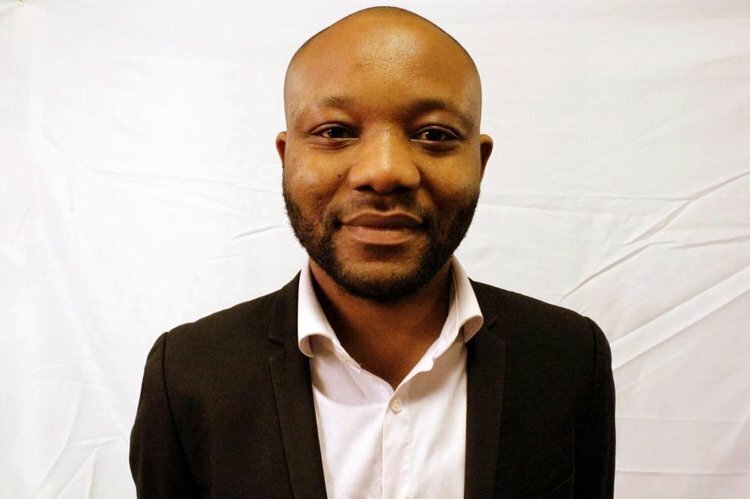 Mpalive Msiska, a Malawian academic, is a Reader in English and Humanities at Birkbeck College, University of London, with research and teaching interests in Critical and Cultural Theory as well as Postcolonial Literatures, including African literature. He is author of Post-colonial Identity in Wole Soyinka (2007), Wole Soyinka (1998) and co-author of Chinua Achebe’s Things Fall Apart (2007) and The Quiet Chameleon: A Study of Modern Poetry from Central Africa (1992) and co-editor of Writing and Africa (1997). He served as a judge in 2006. John Niepold has more than 20 years of experience in frontier investing in Africa, the Middle East and Asia. He is a founder and Managing Partner of SQM Frontier Management, LP, where Mr Niepold is the Portfolio Manager for all the firm’s African portfolios. Prior to launching SQM, Mr. Niepold spent 15 years as a Portfolio Manager for Africa and the Middle East at Emerging Markets Management LLC. He has a B.A. in economics from Davidson College and an M.B.A. from the Kenan-Flagler Business School at the University of North Carolina/Chapel Hill in the United States. Alastair Niven was the Director of Literature at the British Council for four years. He has held several public positions, including being Director of Literature at the Arts Council of Great Britain (latterly The Arts Council of England) for ten years and Director General of The Africa Centre from 1978 to 1984. He is the author of four books and over fifty articles on aspects of Commonwealth and post-colonial literature. A judge of the Booker Prize for Fiction in 1994 and 2014, he was also President of English PEN from 2003 to 2007 and Principal of Cumberland Lodge, Windsor, 2001 to 2013. Nii Ayikwei Parkes is a writer, editor, socio-cultural commentator and performance poet. He holds an MA in Creative Writing from Birkbeck (University of London) and serves on the boards of the Poetry Book Society and the Arvon Foundation. A 2007 recipient of Ghana’s national ACRAG award for poetry and literary advocacy, Nii is the author of the acclaimed hybrid literary novel, Tail of the Blue Bird, which was shortlisted for the 2010 Commonwealth Prize. Marie Philip was born in South Africa and studied at the University of Cape Town. In 1971 she co-founded David Philip Publishers – an independent and oppositional publishers – with her husband, during the apartheid years. She received an Hon. D. Lits from the University of KwaZulu-Natal (UKZN) and The University of the Western Cape (UWC). Hannah Pool is a journalist, author and commentator writing regularly in the national and international media. Hannah has written features, interviews and comment for the Guardian for over a decade. Former Associate Editor of ARISE magazine, her work also appears in The Times, The Independent, Grazia and others. Hannah’s book, My Fathers’ Daughter: A story of family and belonging is a memoir of her journey back to Eritrea to find her birth family. My Fathers’ Daughter was published in the UK (Penguin), the US (Free Press), France, and Holland to critical acclaim. She served as a judge in 2008 and 2009. Edward Robinson is a former director of Booker plc. He worked in Nigeria and Kenya in the 1960`s and subsequently travelled extensively throughout Africa on business. He retains a deep interest in the continent`s economic development and cultural diversity and has been a member of the Caine Prize Council since its inception. Fiammetta Rocco is a third-generation Kenyan. She was educated at Oxford University where she read Arabic. Her investigative journalism has won awards on both sides of the Atlantic. She is now the literary editor of The Economist and the author of The Miraculous Fever Tree: The Cure that Changed the World. She chaired the judging panel in 2010. David Suratgar, Chairman of BMCE Bank International plc and Advisory Board of Taylor-DeJongh Inc., has more than 40 years of project finance experience. He is a former vice-chairman of Deutsche Morgan Grenfell and member of the Board of BMCE Bank and senior advisor to the Chairman. He serves as chairman of Masawara plc and of Fortune Funds Ltd. and Director, Global Alumina Inc., and of Taylor-DeJongh (Bermuda). Véronique Tadjo is an academic, writer and artist from Cote d’Ivoire. Most of her work is in French but has been widely translated into English and several other languages. She is currently based in Johannesburg where she is a professor and head of French Studies at the University of the Witwatersrand. She served as a judge in 2000 and 2001. Jonathan Taylor was a member of the SOAS Governing Body from 1988 to 2005, serving as Chairman for the last six of those years. Since 2001 he has been chairman of the Booker Prize Foundation, which awards the Man Booker Prize for Fiction, the UK’s most prestigious literary honour. He is chair of the trustees of the International Prize for Arabic Fiction. As an Anglican priest Desmond Mpilo Tutu became a national and international figure in his campaign against apartheid in South Africa, which earned him the Nobel Peace Prize in 1984. He was enthroned as Archbishop of Cape Town in 1986 and chaired South Africa’s Truth and Reconciliation Commission after the establishment of a democratically elected government. As Chairman of The Elders he remains active in his quest for peace and dignity. Vicky Unwin was born in Tanzania and has had a life-long career in African publishing and mainstream media. Highlights include being Editor of the African Writers Series for eight years and Media Director for the Aga Khan Fund for Economic Development, where she oversaw the Nation Media Group’s coverage of the Kenyan post-election violence. She is also Chairman of Art First, a London Gallery, and on the Advisory Board of Post Conflict People. Dr Wangui wa Goro is a public intellectual, translator, editor, writer. Her main interest is in the promotion of literary translation and scholarship. She is the translator of award-winning authors between French, English and Gikuyu including the Nobel Prize nominee Ngugi wa Thiong’o through whose work, Matigari, and Veronique Tadjo's As the Crow Flies she broke new ground for a new generation of African translators. Her first short story, "Heaven and Earth" (Macmillan) has been taught on the Kenyan curriculum. Wangui was a member of the jury of Africa's 100 best books of the twentieth Century, and served as a judge for the Caine Prize in 2007. Nana Wilson-Tagoe is a Visiting Professor of Black Studies at the University of Missouri, Kansas City, US. She has taught African and African Diaspora literature at the School of Oriental and African Studies, University of London and at universities in Ghana, Nigeria and Kenya. She has published Historical Thought and Literary Representation in West Indian Literature and A Readers’ Guide to West Indian and Black British Literature. She has been judge and chair of the Commonwealth Writers’ Prize and the Macmillan Prize for African Writing. She served as a judge from 2003 until 2006. Edwin Wulfsohn is Deputy Chairman of Stenham Limited (a trust, property and hedge funds company). Edwin is also the Chairman of Trans Zambezi Industries Limited – a listed sub Saharan investment group which he co-founded. He has banking experience at Chase Manhattan Bank, New York and Standard Chartered and holds a BA from the University of Cape Town and an MBA from Columbia Business School, New York. Edwin is a Trustee of the Contemporary Art Society, member of the African Arts Committee, Tate and Founder of Mosi-o-Tunva Art Trust.